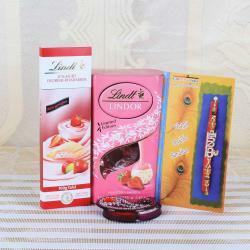 Product Consist: Lindt Tiramisu Chocolate (Weight: 100 gms), Lindt Himbeer-Vanille Chocolate (Weight: 100 gms), Attractive Zardosi and Pearl Beads Rakhi along with Roli Chawal Container. 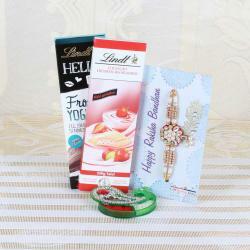 Raksha Bandhan is a special occasion for every brother, male friend or cousin. 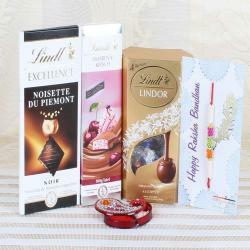 Designer Rakhi with Lindt Chocolates Bar Combo gives taste with chocolates. 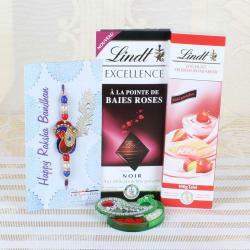 Along with this Rakhi, the Lindt chocolate has yummy taste. Pearl bead rakhi with chocolate is available in the pack. It is only stunning to tie to the waist of your brother. This will give a heartfelt message to him. You can send it as a surprise gift for Raksha bandhan to your brother. Tying this unique rakhi on your brother's hand and make everyone happy and to celebrate the day and remember throughout your life. 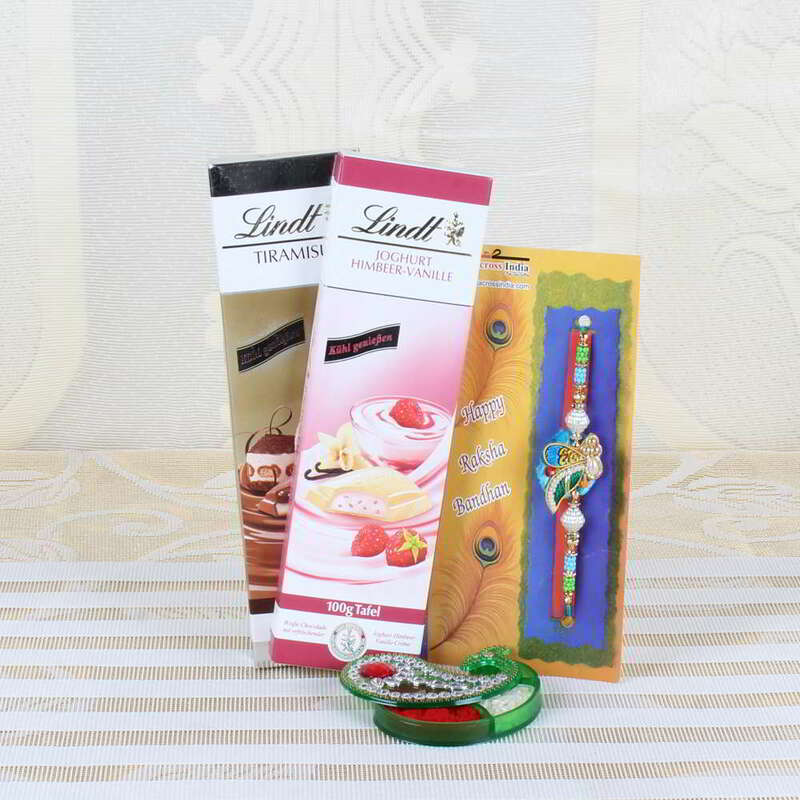 Product Consists of: Lindt Tiramisu Chocolate (Weight: 100 gms), Lindt Himbeer-Vanille Chocolate (Weight: 100 gms), Attractive Zardosi and Pearl Beads Rakhi along with Roli Chawal Container.